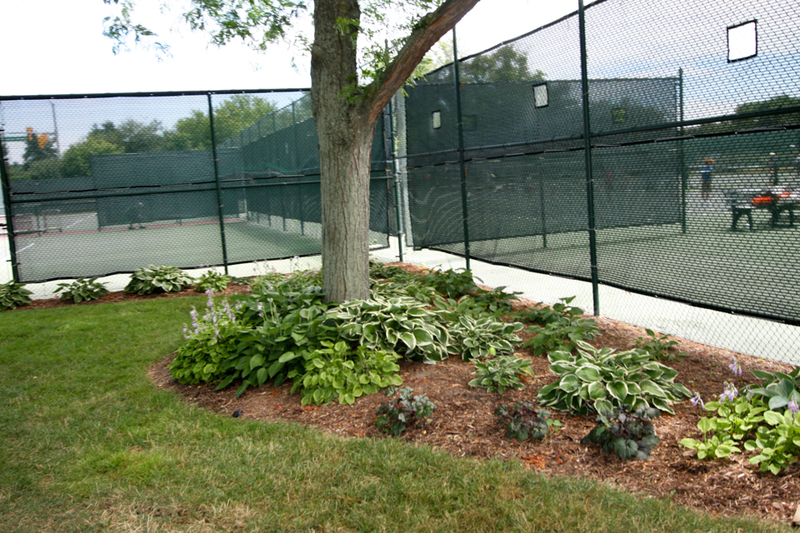 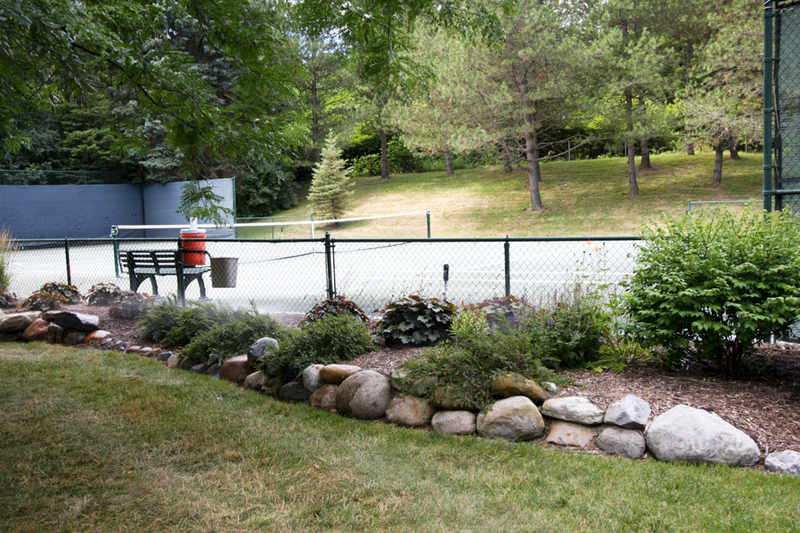 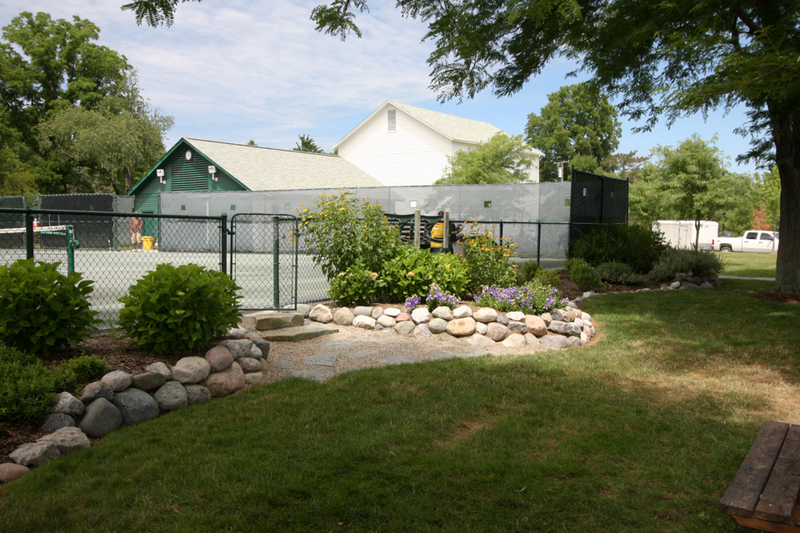 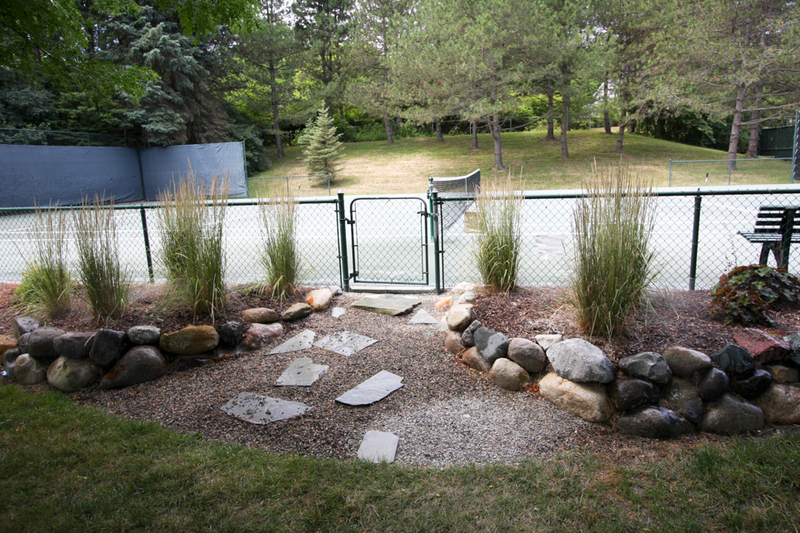 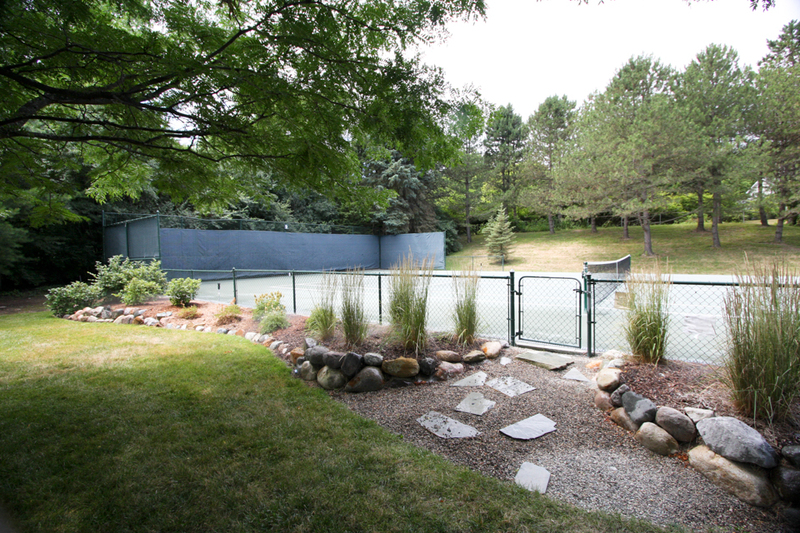 The project for The Ann Arbor Racquet Club was one of those projects where we had to rely on our skills rather than our experience to a degree. 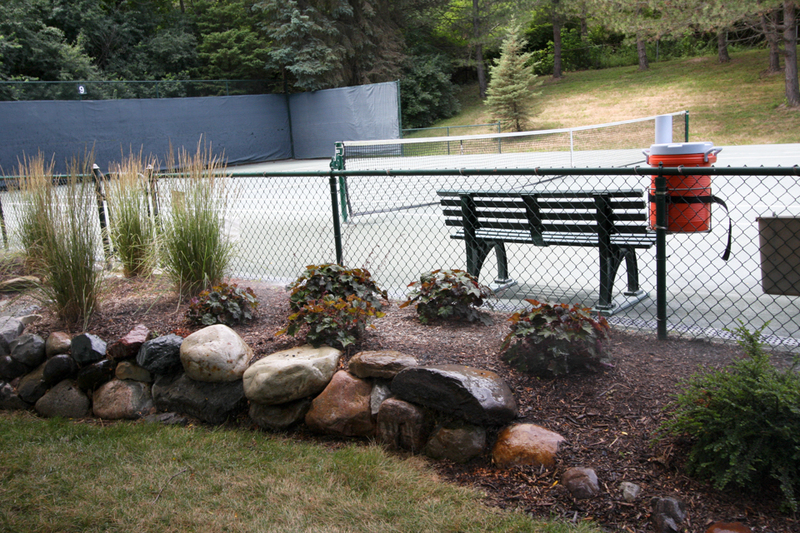 One of the main aspects of the project was to install surface drainage around the clay courts. 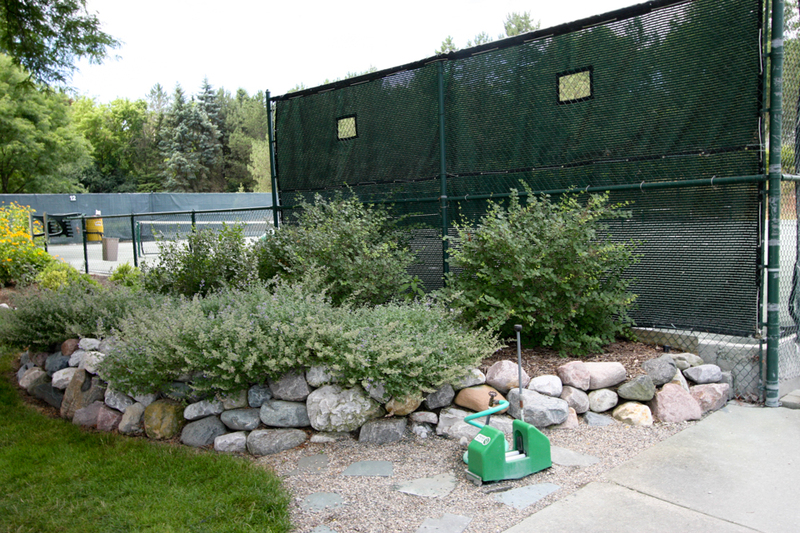 The drainage was then tied into the existing catch basins. 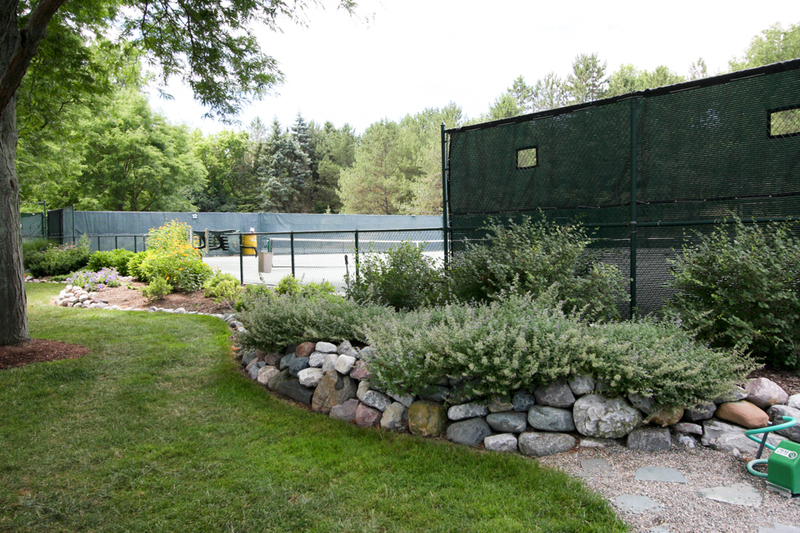 We learned a lot about clay courts and tennis in general and had a great time doing it. 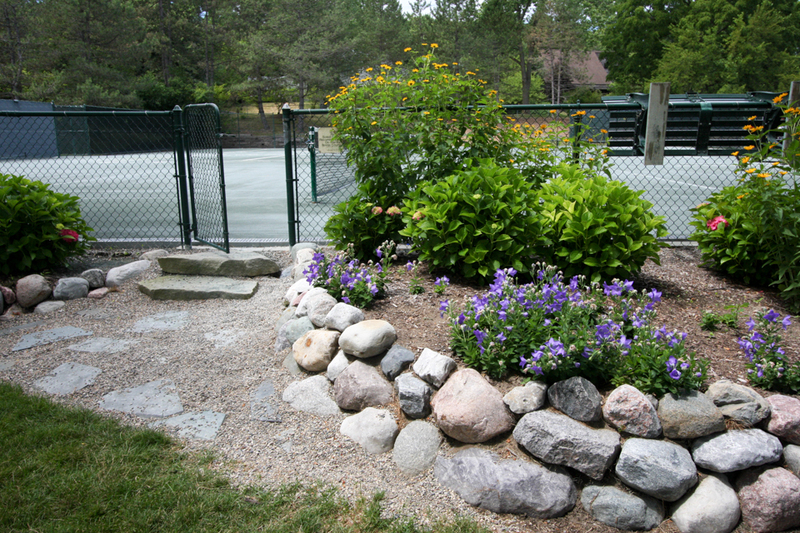 Because of the extensive drainage work that we did, we also revised the bed spaces around the clay court areas and created some elevated bed spaces to really enhance the look of the courts. 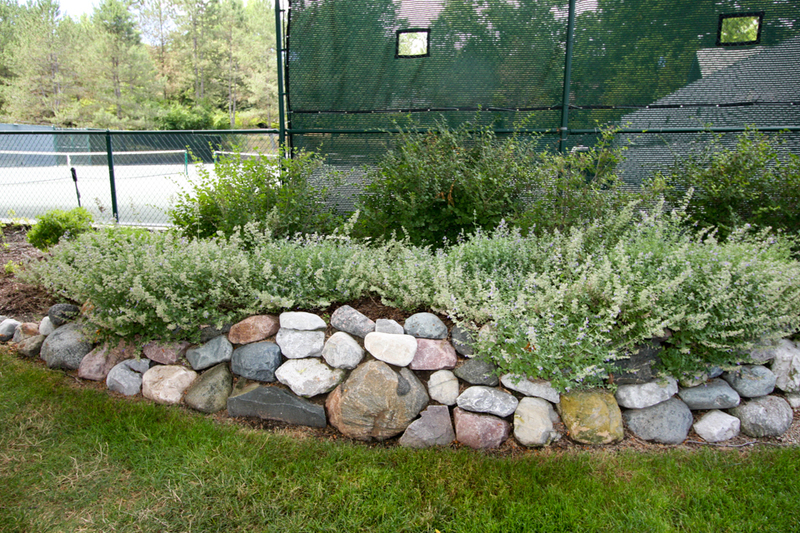 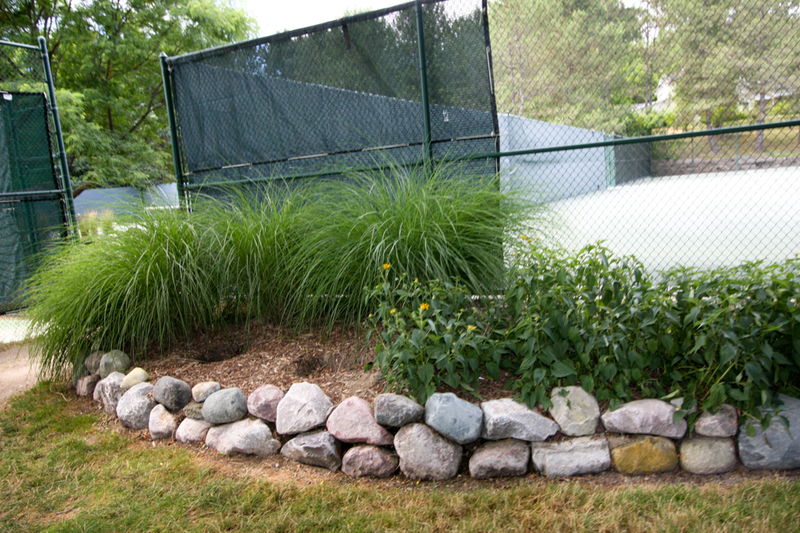 We installed a wide variety of shrubs, perennials, & grasses where many of them were shade type plantings. 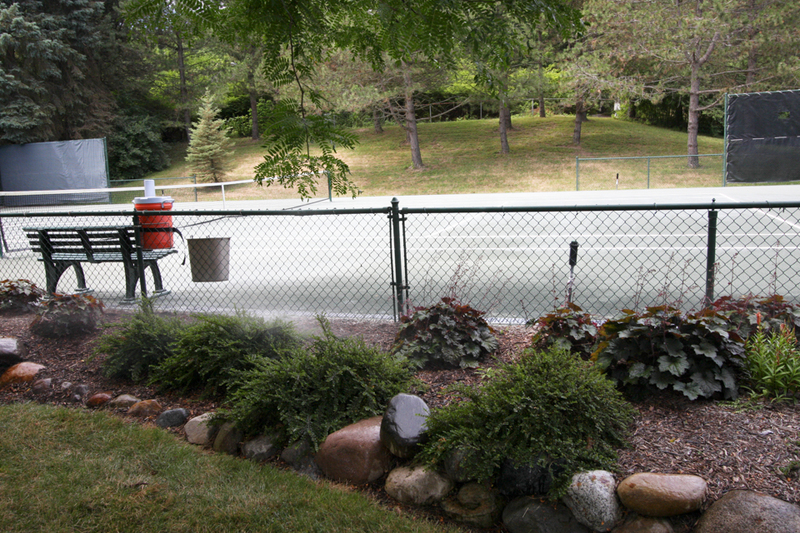 Of course when all was said and done, we had to revise the sprinkler system as well and reinstall the lawn.